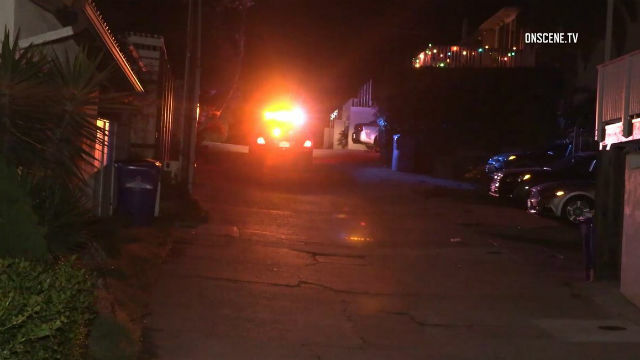 San Diego Police arrested two men in connection with the shooting death early Saturday of a 44-year-old man at a home in Pacific Beach. Paul Weinberger, 50, and Freddy Sosa, 37, were arrested after investigators followed leads gathered by the initial investigating officers, San Diego police Lt. Matt Dobbs said. “Weinberger lived in the residence where the homicide occurred,” Dobbs said. Officers dispatched at 1:47 a.m. to a home in the 2300 block of Wilbur Avenue regarding a possible shooting found the victim suffering from an apparent gunshot wound, he said. The victim’s name has not been released. Paramedics rushed the man to area hospital, where he died from his injuries at 2:30 a.m., Dobbs said. The vehicle has not yet been recovered and, as the investigation continues, it is possible more arrests will be made, Dobbs said. The vehicle is described as a white 2015 Lexus RX350 with California plate numbers 7NWK357, he said. “The occupants are considered armed and dangerous,” Dobbs said.